"Lifestyles of the Rich and Famous" host Robin Leach has died at the age of 76. Leach had been hospitalized since November after suffering a stroke while in Cabo San Lucas, and passed away Friday morning in Vegas ... according to his colleague John Katsilometes at the Las Vegas Review-Journal. 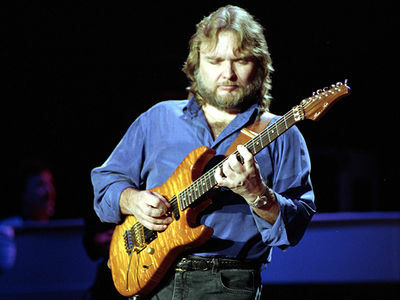 Katsilometes revealed before his death, Leach was in hospice care after suffering a second stroke on Monday. A family from his statement said, "Despite the past 10 months, what a beautiful life he had. 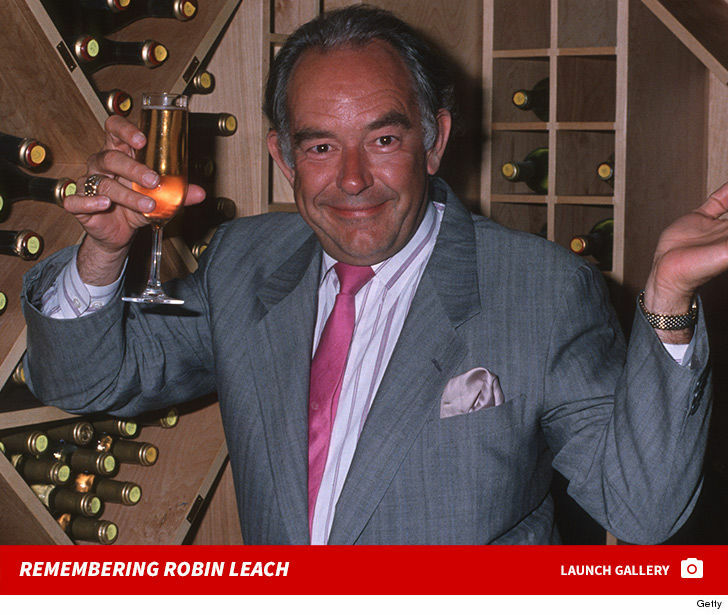 Our Dad, Grandpa, Brother, Uncle and friend Robin Leach passed away peacefully last night." The family continued, "Everyone’s support and love over the past, almost one year, has been incredible and we are so grateful. Memorial arrangements to follow. With love, Steven, Gregg and Rick Leach." Leach -- a veteran journalist -- launched and hosted 'Lifestyles' in 1984 and it aired until 1995. The show gave viewers a sneak peek into the lives of wealthy entertainers, athletes and CEOs. The show's success came on the heels of a burst of interest in the lives of the filthy rich back in the 80's. Even years after the show ended, Leach remained a figurehead in the world of wealth and luxury. Despite his ritzy reputation, Leach always insisted he was a normal and down-to-earth dude. Robin moved to Las Vegas in 1999 and spent most of his final years as a journalist working for the Las Vegas Review-Journal and for the Las Vegas Sun covering celeb events on the strip. Leach started his career earning just $6 an hour at The Harrow Observer. From there, he became the youngest editor at just 18 years old at London's Daily Mail and later worked for the New York Daily News and People magazine. In a 2011 interview with The Las Vegas Sun, Leach said, "I wanted no other jobs than to work in newspapers." Leach's mindset clearly changed when he broke into TV on CNN's "People Tonight" in 1980 and followed up in playing a major part in launching "Entertainment Tonight." In 2007, Leach was the host of "The Surreal Life: Fame Games" on VH1. 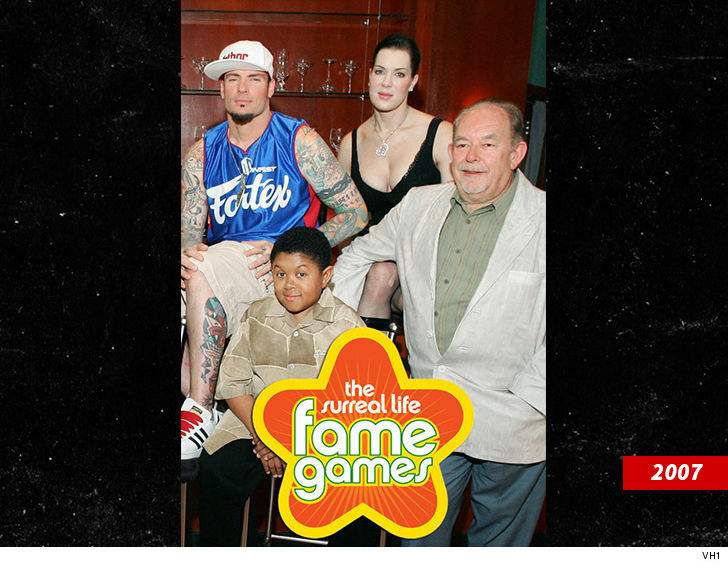 The show featured 10 celebs -- including Vanilla Ice, Chyna, Verne Troyer, Ron Jeremy and Brigitte Nielsen -- competing in a series of games for $100,000. We had Vince Neil -- a longtime friend of Robin's -- on TMZ Live Friday ... who dished on Leach and his accomplishments. He most recently appeared on an episode of VICELAND's "Most Expensivest" where 2 Chainz jetted to Vegas to sip champagne and eat caviar with Robin. Leach was to turn 77 Wednesday.